Interactive Map of USA, created with Google Interactive Maps WordPress Plugin. Example Map of USA, displaying states population. 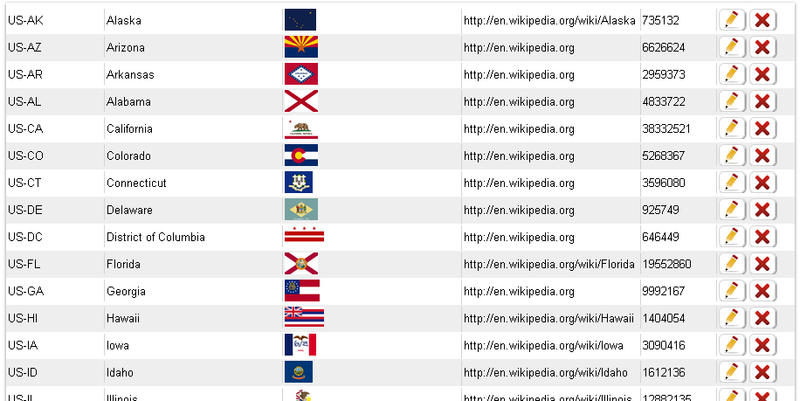 Map displays tooltip on hover of states and opens appropriate Wikipedia website onclick. Tooltip uses HTML content with images (flags) and text. This demo map is created with Google Interactive Maps WordPress plugin, which let’s you create unlimited responsive interactive maps (Interactive World Maps, Europe Interactive Maps, Interactive US Maps, Africa Interactive Maps, Germany Interactive Maps, Interactive Maps of Canada and map of any other continent, country and US state).